1. Fast: Chrome's core speed. Your fast and secure browser. 2. Security: No Ads, No Plugin, Clean browser. 3. Powerful: Support the latest HTML5 features, includes Playlist and PDF viewer, support encrypted PDF DRM. 5. HTML5 Video DRM: Includes HTML5 Video DRM Protection, it supports playback high definition video both online and offline. 1. Fastest: Top speed DRM browser (based-on Chrome) in Android platform. 2. Powerful: Online playback audio and high definition video smoothly, and save more battery. 3. 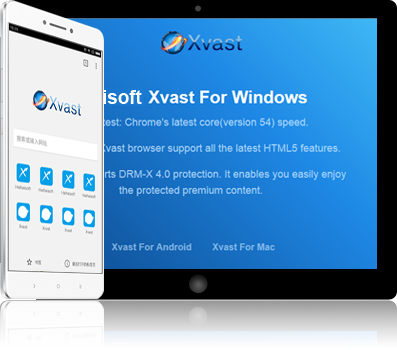 Android Mobile DRM: Xvast support playback DRM-X 4.0 encrypted audio/video in Android mobile phone and tablet. 1. Fastest: Top speed DRM browser(based-on Chrome) in MacOS platform. 2. 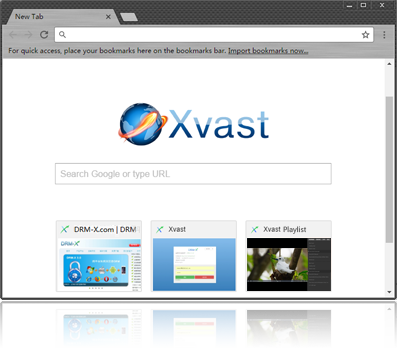 Powerful: Xvast browser support latest HTML5 standards, includes fast PDF viewer. 3. 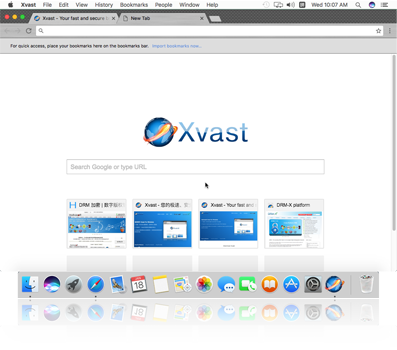 MacOS DRM: Xvast support open DRM-X 4.0 encrypted MP3 audio, WebM Video, MP4 video and PDF document. It supports open encrypted files both online and offline. 1. Simple: It is a iOS DRM browser which includes media player and fast PDF reader. 2. Rights Features: Support dynamic watermark, revoke license, expiration date, open count, license combined with hardware, and so on. 3. iOS DRM. 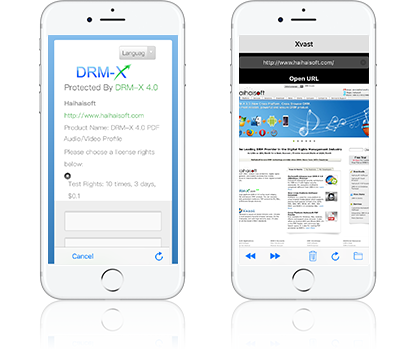 It supports DRM-X 4.0 encrypted MP3 audio, MP4 video and PDF document. It supports download protected files online or open it locally in iOS device. Requirements: Android 4.4 or later.